Every day, Capalino+Company tracks legislative amendments and trends for our clients in order to provide useful and actionable insight. 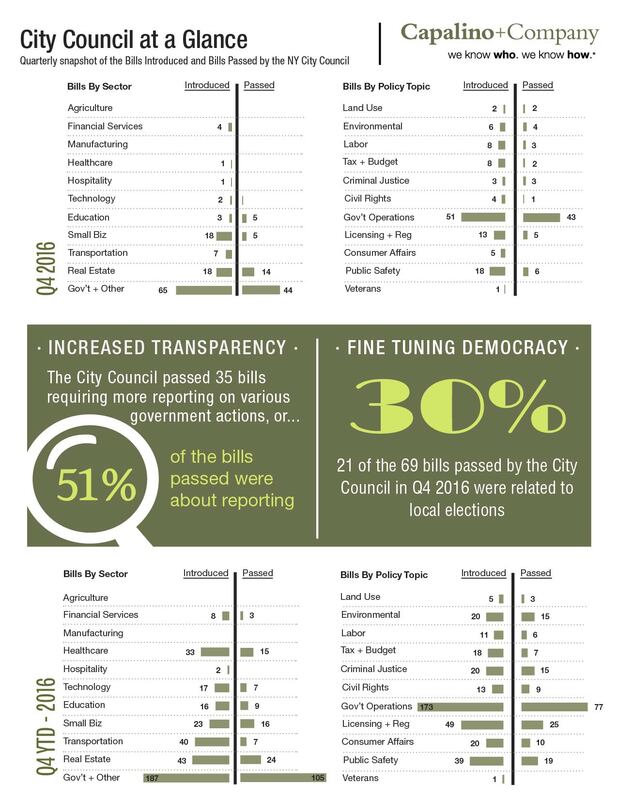 We’re excited to continue the Capalino+Company Legislative Dashboard, which summarizes the New York City Council’s legislative activity, including the types and number of bills introduced and passed by sector and policy topic. For more information on our Legislative and Political Affairs Services, or to learn how these bills might affect you, please contact our Senior Vice President Ashley Thompson at ashley@capalino.com.